When friends need an attentive ear, a caring comment, a touch of advice, they turn to Ms. Day. Even strangers sense her listening soul and come to her with all manner of problems. So, naturally, she dutifully doles out suggestions and support as best as she can, but despite her helpful intentions and all of her practice, Day's counsel still is finger painting compared to the pièce de résistance of Ann Landers' gentle guidance. Not only did this columnist share thoughts with those who wrote in to her, but also with all of her dedicated readers, many of whom were in need of a listening ear as well. Just knowing that Ann's was available made all the difference in the world for many. Now, of course, "Ann Landers" was just a pseudonym for Eppie Lederer, who passed away in 2002, but she lives on in our hearts and onstage this month at the Center of Creative Arts (524 Trinity Avenue, University City). 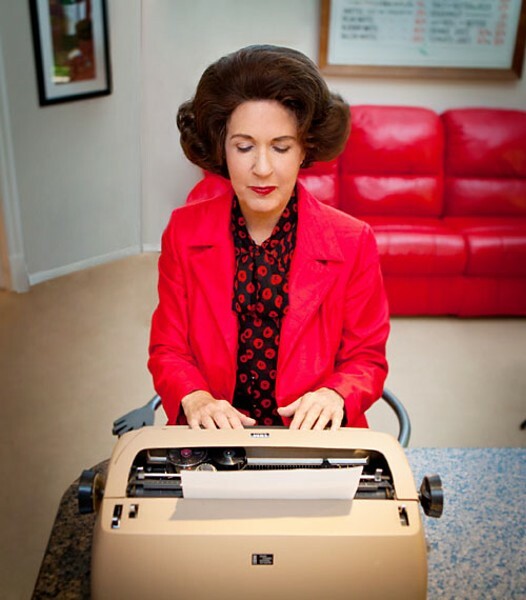 Max & Louie Productions present David Rambo's The Lady With All the Answers, a one-woman show starring Stellie Siteman that's set during a single evening of column-writing that will change everything for Ann/Eppie. To learn what question could affect the unforgettable Ann Landers so deeply, and to enjoy a different perspective of the writer, head to the theater at 8 p.m. Wednesday through Saturday or at 2 or 7 p.m. Sunday (May 12 through 22). Tickets cost $30 to $35 and are available by calling 314-725-6555 or visiting www.cocastl.org.